Ways to take care of yourself. You deserve to be well cared for. 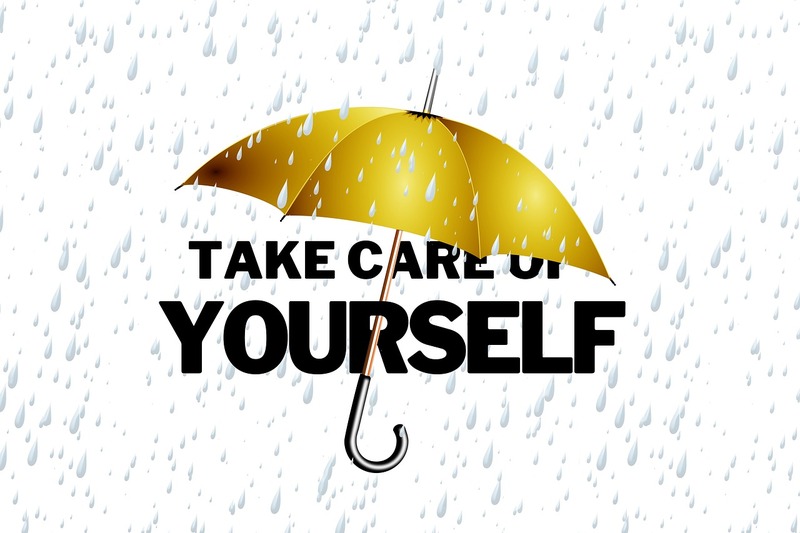 Did anyone teach you how to take care of yourself? Did they tell you that taking care of yourself is being selfish? Don’t listen to that kind of talk. Taking good care of yourself is not being selfish. You can’t give others something you do not have. How can you expect your children and others around you to take care of themselves when you do not set a good example? Having the guts and determination to keep on pushing forward despite the obstacles is an admirable quality. But eventually, even the superheroes need to rest and relax. Living your life as if the objective is to see how much you can suffer and push yourself is no way to live. You are only here for one life. Try to get the most out of that life by living a life full of self-compassion. Here is a list of simple to do self-care acts that can make you a more self-compassionate person. 1. Let yourself rest when tired – sleep. This one is at the top of the list for a reason. Sleep is not unproductive time. You do not get more accomplished by sleeping less. When needed you can probably get by on less sleep for a few days or even weeks but eventually, that lack of rest catches up with you. Sleep is the time when your brain cools down, increases blood flow and cleans out all the waste products. Your brain and nerves heal and memory’s get consolidated during sleep. Fail to get enough sleep and your daily performance will decline. You may even damage that computer in your head and there are no replacement parts for the model brain you are using. 2. Take care of your body. Eat healthily and get some exercise. If you are too busy to eat well or exercise you are too busy. Eventually, parts of the body get worn. You need good nutrition and some physical exercise to keep the machine you call your body working well. Pushing yourself long hours on poor quality fuel results in excessive wear on your body and a shortened lifespan. Want to get the most done in your career or home. Keep yourself in good shape for the whole journey. 3. Respect how you feel. Do not ignore your feelings. If something is bothering you attend to it before it becomes a major problem. Talk that issue through with a trusted friend or professional. If the issue is between you and your spouse then your partner is the one you need to be talking with. Having healthy supportive relationships keeps you mentally, physically and emotionally healthy. If your emotions are running rough do not ignore the feelings. Take yourself in for an emotional tune-up if needed. Most people think that seeing a counselor or therapist is something you do after you have a nervous breakdown. Get emotional help in the early stages and there may be no breakdown. 4. Schedule time for you. Never have any time for yourself? Then you are giving too much of your life away. Make time for yourself, your interests and enjoying life. You are the only you there will ever be. Enjoy every minute you spend with yourself. Being alone some of the time should not equal being lonely. Balance the time around others with the time you spend in solitude. 5. Pause to take stock of where you are in life – have goals. One good habit to get into is a periodic review of your life. Businesses take inventory at least once a year. Are there things in your life that are obsolete? Have a clearance sale and get those activities that are taking up your time but providing no value out of your life. Are your activities taking you where you want to go? Review your goals and the strategies and tactics you are using to get to those goals. 6. Reward your hard work. Make sure you build in rewards for the hard work you do. What special rewards will you give yourself when you reach a goal? 7. Challenge yourself to build a sense of accomplishment. People have comfort zones. When you step just a little outside that zone you feel some anxiety but when you try on a new behavior and are successful you get used to this new area. Keep moving just a step outside that comfort zone and you will stretch out the area of things that you can comfortably do. 8. Give yourself a round of applause for things well done. Be your most enthusiastic cheerleader. Make sure you notice the things that you do and give yourself a round of applause every time you are able to master a new skill or challenge. Accept compliments when offered. Do not reject those compliments with a self-depreciating “It was nothing.” A simple thank you to the party that offered you the praise will go a long way in building your self-esteem and theirs. 9. Invest time and money in yourself. You have a set amount of time each week. You can spend that time wisely or foolishly. Budget those hours and include an investment in yourself as part of that budget. Take a class, read something that interests you. There is a difference between spending money and time for momentary pleasure and investing in yourself for the long run. Investments in yourself, in learning new skills or expanding your experiences, pay dividends down the road. What other ways have you found that help you take care of yourself? Start taking care of yourself. This entry was posted in Health and tagged how to take care of yourself, rest when tired, self care, Self-compassion by David Joel Miller. Bookmark the permalink. Here’s one: when you talk to yourself, listen carefully. If you catch yourself talking mean to yourself, forgive yourself for talking harshly and re-say whatever it was in a more polite– but still truthful– way. Thanks for adding that one.